The race consists of 10 km of swimming and 42 km of running broken down into 19 run segments and 18 swim segments. The duration of the race is similar to an Ironman (target time of 8:30), but the intensity is a lot lower due to the difficult terrain. Navigation might be a challenge, since a lot of the segments are unmarked. We'll be using maps, and maybe a compass if needed. Simon trained for the swimming in the cold in the UK for acclimatisation, and Mikael did the same in Helsinki. We tethered our swim buoys to our race belts so when we get out of the swim we do not need to carry it in our hands or drop it on the ground, or let it float away. 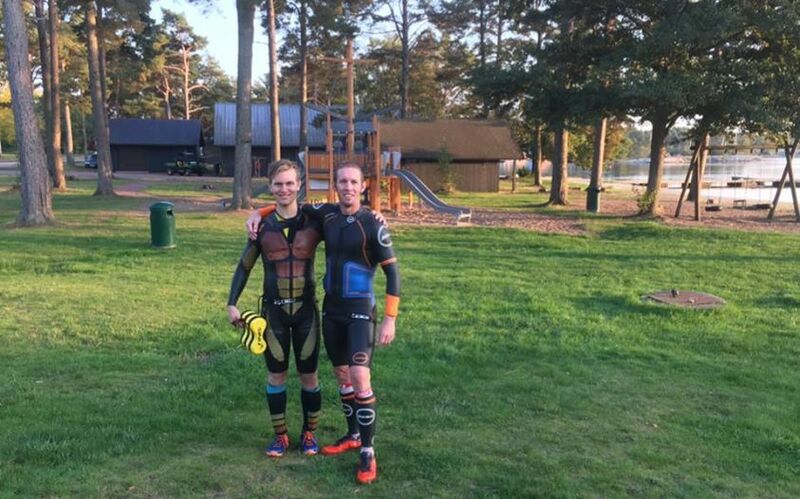 On the equipment side, Mikael is using a swimrun suit from Colting Wetsuits. It was ranked number 1 in World of Swimrun's big equipment test in 2017. It is very easy to run with, which is the one thing that sets it apart from other suits Mikael has tried. You really don't feel constrained at all in it. The shoes that he is using are the Acceleritas from Icebug. They are brilliant swimrun specific shoes. They have great grip, even in challenging spots like stepping down into the water and onto rocks. They also drain really fast. Simon’s hamstring is hurting a bit. He comes into the race with an injury to it. The last stage of the race though, which is one of the longest stages, will be on the road. This will perhaps be the most challenging to run with an injured hamstring. 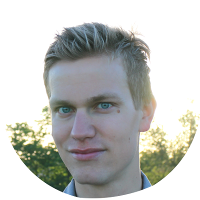 Mikael’s knee was also injured for a couple of weeks during training for the swimrun but it has now healed. For nutrition, we looked at how much calories we will need to be consuming per hour, and based our nutrition plan on getting in 60 grams of carbs per hour (the equivalent of three gels per hour). Being in the water is a very false environment where you think you’re not getting dehydrated although you may very well be. Plus you will always be sweating running in a swimrun suit. Therefore, we're using sports drinks with appropriate sodium content, and Mikael, being a salty sweater, also used Precision Hydration electrolyte mix to stay on top of electrolyte levels. There is potentially also a significant amount of additional calories needed by the body to keep the core temperature up as the swims might get it down to near hypothermic. The location is amazing. The route of the race is magnificent as it showcased the most beautiful parts of the islands. For the roughly 10 km of total swimming and 42 km of running we ended up with a time of 9:57. We finished 2nd in the race but won the Finnish National Championships category. 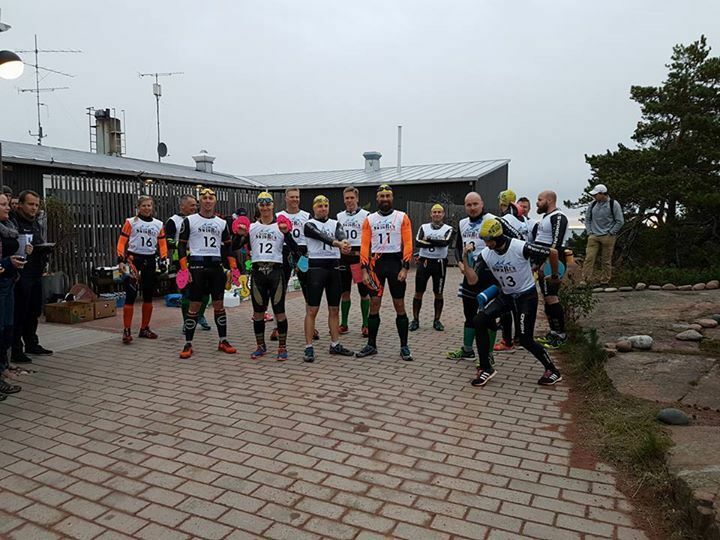 Which makes us the first ever Finnish National Champions in swimrun. One thing that was challenging, but still went reasonably well, was following the little markers of the route (for the segments that were even marked - some were self-navigated). Simon’s hamstring flared up during the very first run segment, which he was waiting for and expecting. The water wasn’t that cold on the first swim section, or any swim sections really. It was around 13-14°C (around 56 F). Simon took the lead during the swim as he was the stronger swimmer. 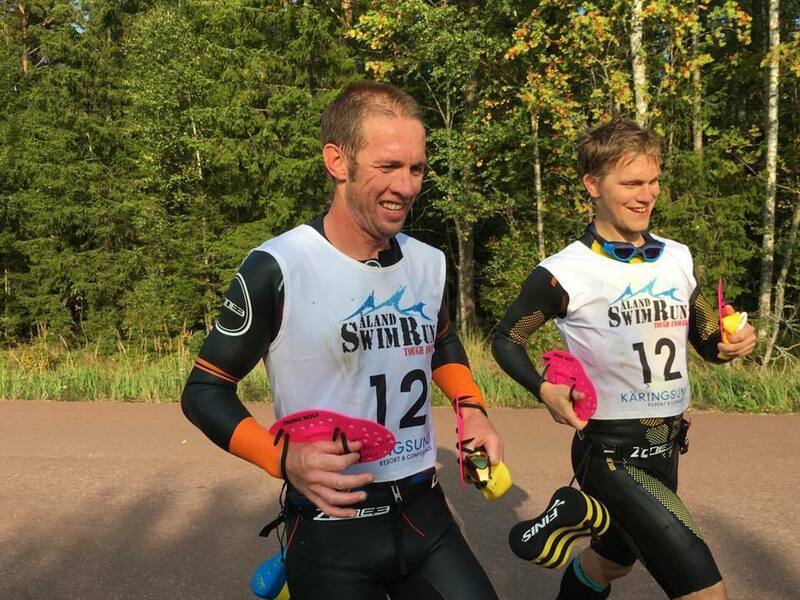 He doesn’t think that there is the same advantage of drafting in open water swimming in the swim section of the swimrun as compared to in triathlon. But there still is the benefit of the trailing partner just focusing on keeping up and not having to really navigate at all. For nutrition, Simon said that looking back he should have started taking his gels a little earlier. During the 2nd run stage or even towards the end of the 1st run stage to give it time to be absorbed the body. Mikael was very diligent with getting his 20 calories every 20 minutes to get that 60 grams of carbs per hour. That breaks down to 2 or 3 gels per hour supplemented with sports drinks at the aid stations. The nutrition plan was great, but just as important as having a plan is actually sticking to it. Even in the beginning, or it will cost you later. Simon would increase his calorie intake if he were to take part in this event again. 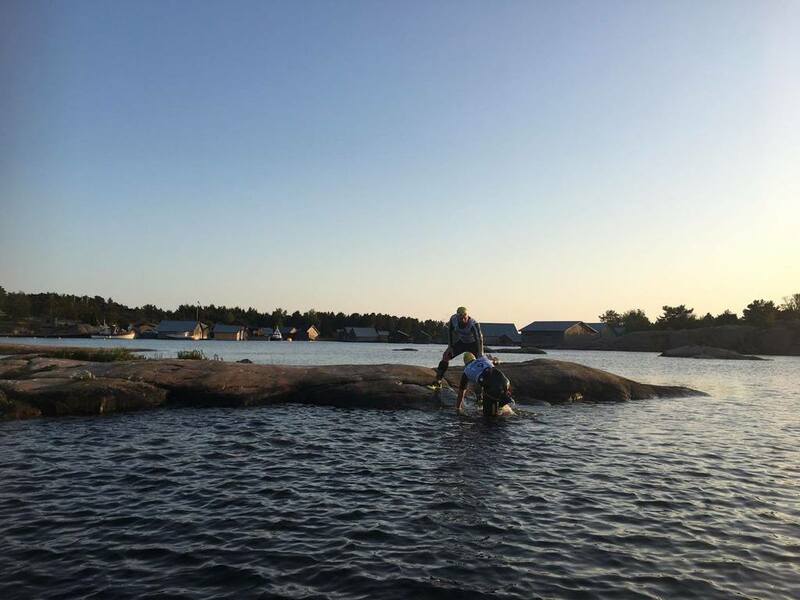 For hydration, Mikael used the low salt content of the Baltic sea (it's just 0.3% salt) to his advantage by consuming it during the swim sections, because it is challenging to get enough liquid in with just 5 aid stations over a 9-10 hour race. Simon took in seawater towards the last stage, because he was starting to get dehydrated, along with getting glycogen-depletion. At almost every run Simon removed his swim cap and goggles to keep the heat at bay. If you’re trying to cool down quickly, get the hat off your head (except in direct sunlight). You can pour some cold water over your head or dip your hands into a bucket of water or in the sea in order to avoid a heatstroke. Planning was a positive takeaway. We did the planning thoroughly and well, and it paid off. We (by and large) knew what we were doing and should be doing at all points of the race. Simon didn’t expect the terrain to be so rough that we needed to walk and not run in places. He fell once because he tripped over a tree root being unable to pick his left leg up due to his hamstring injury. Training in race-specific terrain is something we both could improve on for another go at this race. 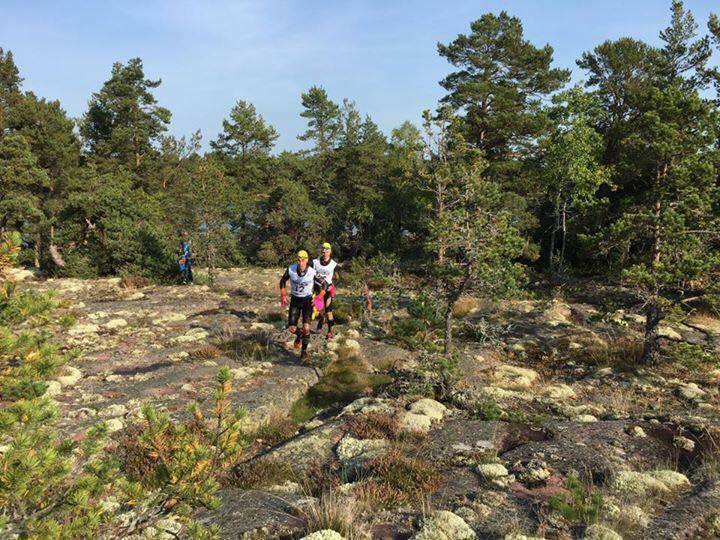 The terrain in this race is likely tougher compared to ÖTILLÖ. ÖTILLÖ is a lot of gravel roads, whereas in Åland you need to force your way through bushes, vegetation, and over, through and under difficult roots and rocks. Simon found it hard to get out of the water because the rocks were very slippery. Mikael found his Icebug shoes had an excellent grip so that he could get up fairly easily even on those slippery rocks. 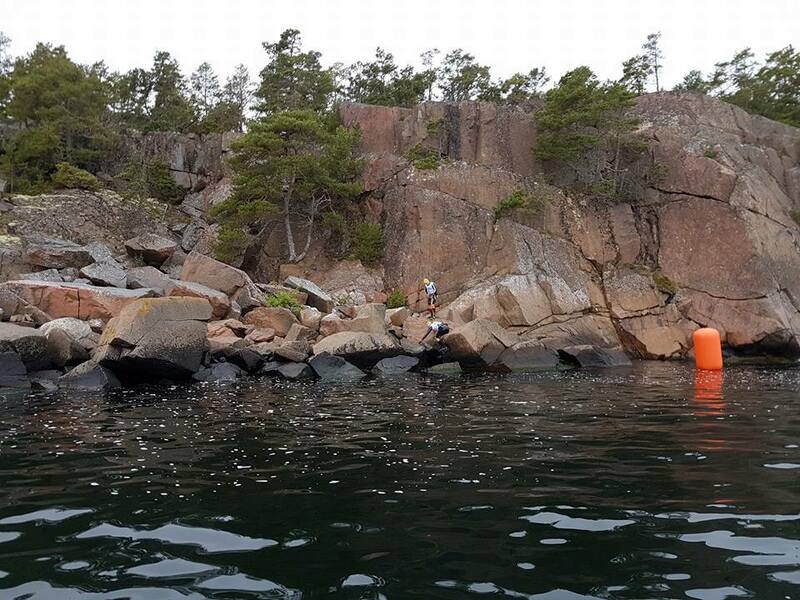 Simon also recommends the fish soup at Åland Swimrun. At the beginning of the event he said that the last thing he would want to eat is anything from the sea or anything associated with it. But the fish soup at the finishing line was to die for. 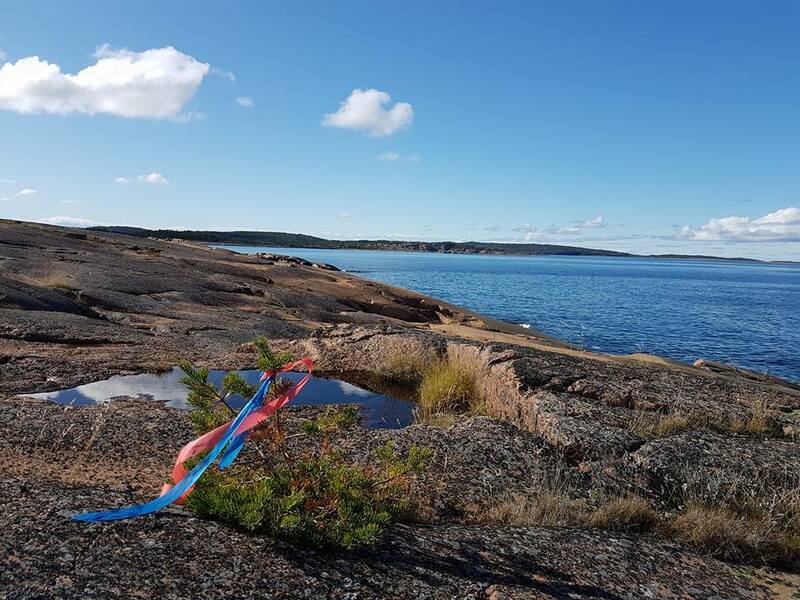 Join the Åland Swimrun and challenge yourself because it is a tough and demanding race in terms of swimming, temperature, and elevation. There is also a shorter version of the race for everybody to enjoy. Hubbe's (the race director) favorite part of the race is definitely the beginning, as it is the toughest part having the coldest swim. 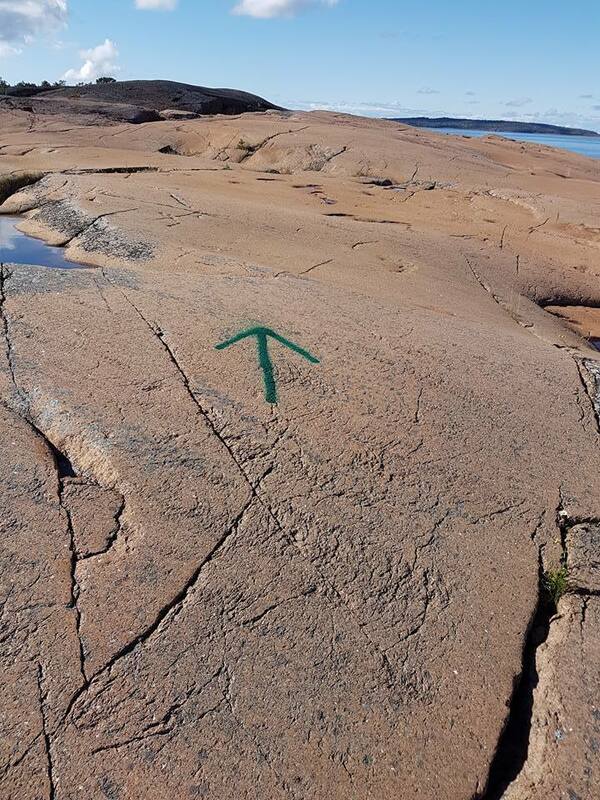 But it is also the best running having high cliffs, red granite, and the open northern Baltic sea. It’s just spectacular. Number one takeaway: Preparation is absolutely key, especially when it comes to swimrun. This is in terms of training, cold water adaptation, and time to work with the paddles to strengthen the shoulders. Having a great nutrition plan is also key and stick to it religiously in order to avoid issues with energy depletion. Sufficient energy intake will help in your recovery as well. Read the race guidelines and have the mandatory equipment. We were checked for maps and first aid kits when we got to the finish line. If we hadn't them kept safely in the pockets of our wetsuits we might not have won the Finnish National Championships. 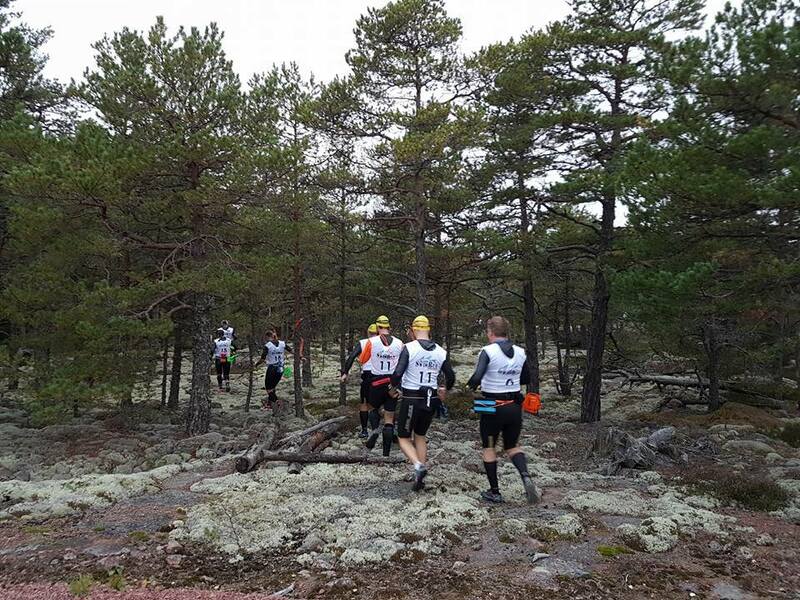 The more similar the terrain you train on to the actual race the better.